These K-3 lesson plans should be used in conjunction with William Mason's book The Boy With The Rainbow Heart. The accompanying printable worksheets are included in the PDF. After the story is finished, prompt students to identify the main character, the setting, and how the town changed because of the boy, and why that happened. Who was this story about? What problem did the Boy with the Rainbow heart face during this story? What was the town like in the beginning of the story? How did the town change in the story? Prompt students to make a connection to the real world, asking them to think about how, like the boy, we can show others we care for them and treat them with kindness and respect. Instruct the class that you will be discussing different examples of character traits. Explain that a character trait is a word that is used to describe, or tell about someone in a story, and that traits can be good and bad. With your class, provide an example of a character trait: kind. Then, briefly explain what kindness means, and how it describes the Boy with the Rainbow Heart. Ask your student pairs to think about words that describe the Boy with the Rainbow Heart. Instruct each pair of students to write down as many words as they can that describe the Boy. Explain that they will have exactly 10 minutes. After time is up, they will compare their list with the one you have written on chart paper (covered up at the moment), and give themselves one point for each word they write that also appears on the chart paper. Set the timer, giving your class 10 minutes to generate words. Encourage the students to write down as many as they can, and to not worry about spelling. Words they are not sure how to spell should be sounded out and spelled phonetically (as best as possible). When time is up, uncover the list of words on chart paper, going slowly and briefly explaining what the word means if students have never seen it before. Students should give themselves one point for each word they wrote that also appears on the chart paper. Any word that a student writes that does not appear on the chart paper should be evaluated by the teacher; if it does describe the Boy, students should be awarded a point. If it not accurate, students should not receive a point for the word. Students should conclude this activity by choosing their favorite word from the chart paper/an accurate word they generated with their partner that describes the Boy. In one sentence, they should write why that word describes the Boy. Encourage students to spell as best they can, capitalize, and punctuate where necessary. Students identify the setting and write its name on their paper (the Town of Gray). Students draw a picture of what the town looked like in the beginning of the story, and then how it looked after the boy showed kindness to others. Students write one or more sentences about why the town changed from gray to colorful. Ahead of this portion of the lesson, write down the names of each of your students inside the heart template (one name per template). In class, place all of the hearts in a bag/hat. Students should not be able to see the names in the bag. Explain that each student will pull a heart out of the bag. Each heart has the name of one person in the class on the back of it. On the front is a line where students will write a kind adjective they feel describes their classmate. Next, students should color the heart they received from their secret partner with their favorite color/colors. Hearts can be placed on a bulletin board, hung around the classroom, or sent home. Why do you think the townspeople in the story “lived in fear” ? Instruct the class to work with their partner to think about character traits that describe the Boy with the Rainbow Heart, the problem the Boy faced in the story, and how he dealt with that problem. Review the accompanying worksheet with the class before beginning. Provide students time (about 12 minutes) to fill out the worksheet together. Pairs of students can then meet up to share their ideas with their classmates. Students write a paragraph describing how the Town of Grey changed in the story, and why that change happened. Students should next write how they can show kindness in the world. They should provide real examples that they can begin now (being friendly to someone who needs a friend, inviting a classmate to sit next to them at lunch, writing a kind note to a classmate). They should also write about why it is important to be kind to others. Instruct the class to work with their partner to generate adjectives that describe the Boy with the Rainbow Heart on a separate sheet of paper. Set a timer for five minutes, providing students time to list adjectives. After five minutes, project the following question for your students: What did the Boy do to change the Town of Grey to the Town of Shine? 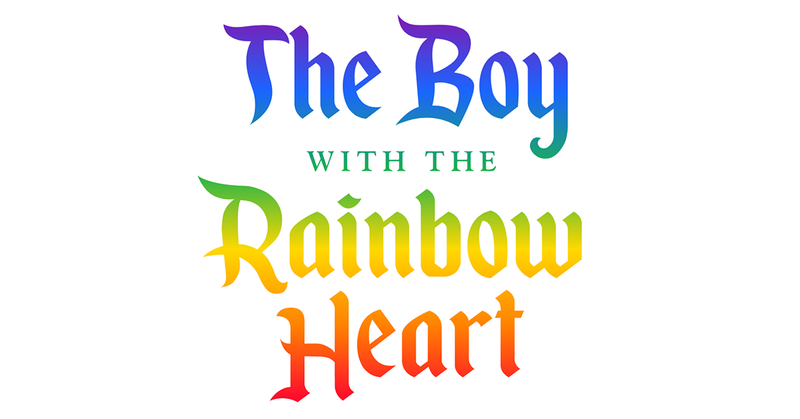 How can we treat others the way the Boy with the Rainbow Heart does in the story? Why is this important? Instruct your students that, in their response to the question, they should try to use as many of the adjectives they generated as they can. Once students are finished responding, they can share their work with another pair, or out loud to the whole group. Divide the class into two groups. Assign one group to be The Town of Grey, and the other to be the Town of Shine. Each student should draw a picture of a building/home/scene from their version of the Town. Additionally, students should write five or more adjectives that describe their Town. Finally, they should include a slogan that describes the Town. With prompting and support, identify characters, settings and major events in a story. Prompt students to make a connection to the real world, asking them to think about how, like the boy, we can show others we care for them and want to be kind to all people. As a large group, students will color the heart that was made for them by their partner. They should choose a color or colors that they feel show who they are.